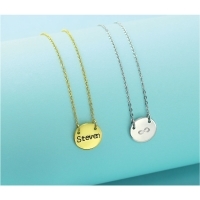 ImpressArt Personal Impressions Necklace Kits include everything you need to make personalized, hand-stamped jewelry. 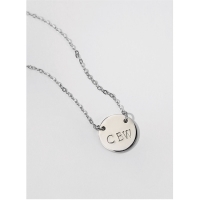 Simply stamp a name, initial, or word onto the blank and attach it to the necklace chain. Each kit includes the components for five necklaces (chains, jump rings, and stamping blanks) and one extra practice blank. 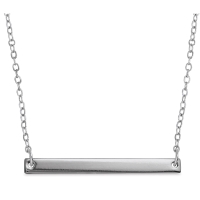 The chains are 18" long. The blanks are 16-gauge plated brass. The Circle blanks measure 5/8" (15 mm). The Rectangle blanks are 1/8" × 1-1/2" (3 mm × 38 mm) and work best with 1.5 mm stamps. 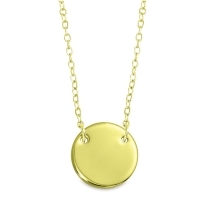 Choose Gold Plated or Silver Plated. ® ImpressArt is a registered trademark.™ Personal Impressions is a trademark. Make unique gifts using the ImpressArt Ergo-Angle Metal Stamping Hammer, the Impress Art Stamps, and the ImpressArt Metal Blanks.